IIM Amritsar is proud to announce the successful completion of the summer placement process for the second batch -PGP02. For the second consecutive year, the institute carved out its place in the elite league of B-schools across the country by achieving 100% placement for its largest ever batch of 104. The batch size of IIM Amritsar is almost twice that of the other 3G IIMs like IIM Nagpur, IIM Visakhapatnam, IIM Sirmaur, IIM Sambalpur, IIM Bodhgaya which started their operations in 2015. The institute not only achieved 100% placements but in the process, also recorded a Y-O-Y growth of a whopping 49.6% in terms of average stipend to INR 49,680. With a bold move to double the batch intake to 105 in its very second year of operations, IIM Amritsar has been overwhelmed by the phenomenal response it received from the industry. The highest stipend offered to the students was of INR 1.1 Lakh. The average stipend of the top 10% of the offers stood at INR 97,000 whereas the average stipend of the top 25% of the offers was INR 77,360. 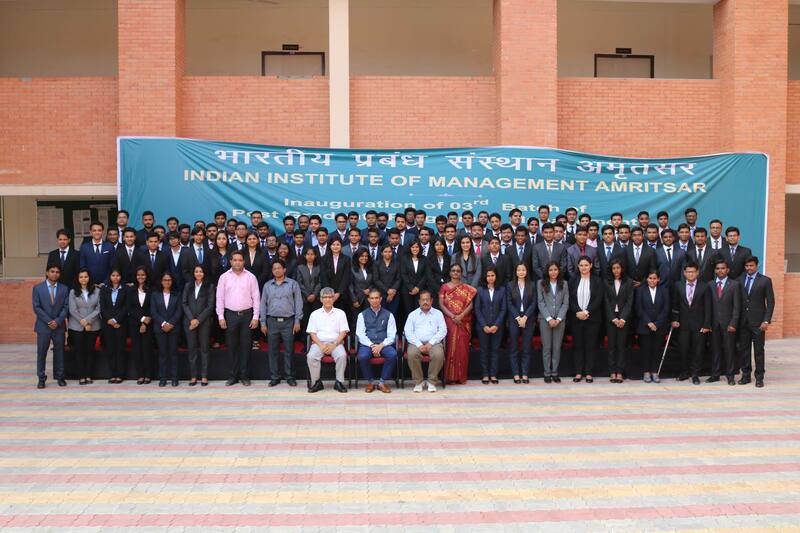 Recruiters have confirmed their faith in IIM Amritsar’s ability to produce world-class leaders. In the process, inspite of a large batch size, there were many students who received multiple offers. In total 122 offers were made to the students who participated in the process. Summer Placements witnessed participation of a total 51companies. E&Y emerged as the largest recruiter, followed by many prominent industry names like ICICI Lombard, Maruti Suzuki, ShopClues, Toyota, SBI, EXIM Bank, Adani, DHFL Pramerica, PayU, IFFCO, Tega, RBI, Canara Bank, Adani, Kirloskar, Yum Brands, Muthoot Finance, L&T, MCX, ACS, Keventers, Choco-Swiss etc. A number of organizations sought to build relationship with the institution during this Placement process which is crucial for a 2 year old institution. Many students showed akeen interest in pursuing their internships in startups like EPS, Blink, eVidyaloka, BigStylist etc to get an opportunity to work with some of the most innovative and entrepreneurial minds in the country. The hot pick among the roles were Marketing and Consulting Advisory which constituted approximately 50% of the total offers. The students bagged niche roles in diverse fields such as modern trade, social media strategist, market place analytics, aviation marketing etc. Finance, Operations, Data Analytics Strategy and HR constituted the rest of the offers. Prof. Kulbhushan Balooni, Director (In-charge), Indian Institute of Management Kozhikode & Mentor Director, IIM Amritsar, said, “Increasing the batch intake from 49 to 105 in the second year of inception, had its own challenges. There were lot of speculations regarding this move but we strongly believed that with bigger batch strength, learning will be better, as this increases competitive nature among them. Perseverance for hard work and zeal to succeed among the student fraternity along with the strong support from IIM K, the mentor institution, made this giant leap possible. The resounding success of this placement season stands testimony to the student quality of the institute”.